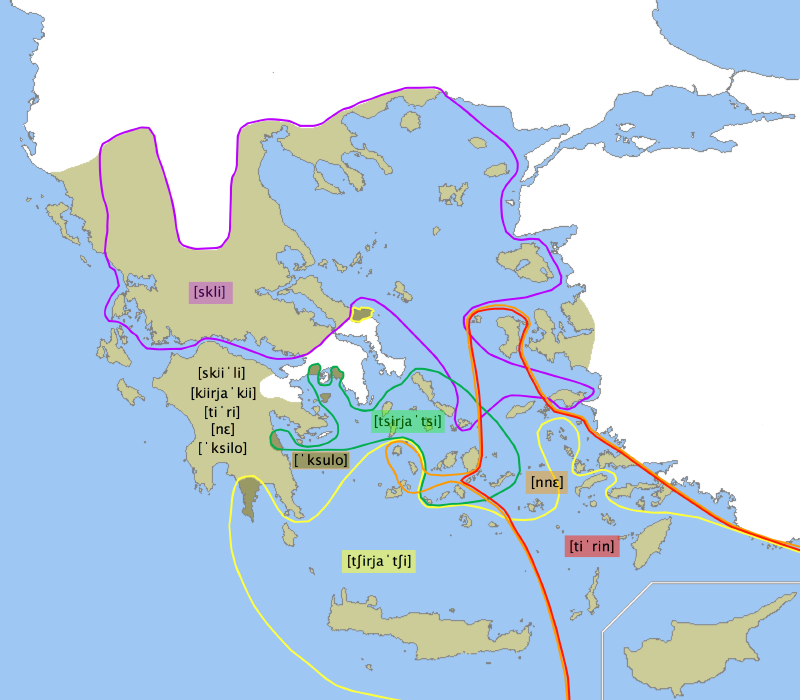 Map showing important isoglosses between the traditional Modern Greek dialects (c.1900). Map based on: Peter Trudgill: Modern Greek dialects. A preliminary Classification, in: Journal of Greek Linguistics 4 (2003), p. 54-64.